Our finances were fine, fundamentally." Ex-MF Global CEO Jon Corzine told the House Agriculture Committee that he was "devastated by the enormous impact on many people's lives" when the giant futures broker went bankrupt. 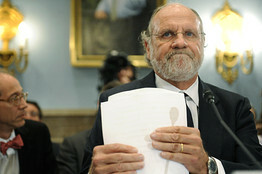 In his first public appearance since the firm's collapse, Mr. Corzine expressed regret but not remorse. MF Global's failure was, in his view, precipitated not by his misjudgment in holding a $6.3 billion leveraged position in European bonds, but rather the market's sudden lack of confidence in in the firm's balance sheet. 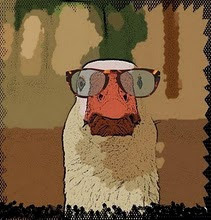 Regarding the notoriously missing $1.2 billion in MF Global customers' funds, Mr. Corzine testified: "I simply do not know where the money is." Fortunately for Mr. Corzine, he is a Democrat....erstwhile champion of the 99%, the working class, benevolent government and the importance of regulations. He will be subject to the inconvenience of hearings, and the mild ribbing from Jon Stewart, nothing more. If he were not a Democrat, his fate would be far worse. He would be paraded as symbol of "breathtaking greed", endless criminal charges and civil suits would be lobbed against him. Good for him that his party affiliation proves his heart is in the right place. This will pass quickly. Tut, tut - such cynicism before the holidays! However, I fear you may be right; there is little reason to suspect that the consistent record of not prosecuting financial fraud will be broken in this case. Still, it would be good to see Mr. Corzine get at least half of what Blagojevich got. I just dropped by to congratulate you on winning yet another Honorable Mention in last week's Limerick-Off. Great job! Limerick of the Week 39.